Submit to the Shinnery by March 8th! 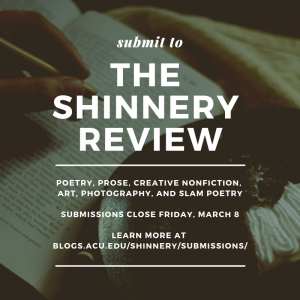 The submissions deadline for our 2019 issue of The Shinnery Review is fast approaching, so don’t forget to send us your work! The deadline is March 8, which is the Friday before Spring Break. We are currently looking for an artist to submit their work for the chance to be featured on the cover of this year’s magazine. If you or a friend has some stellar graphics or abstract art, submit it to represent the Shinnery on our cover! Submit your work, and tell your other creative friends to submit their work, too! 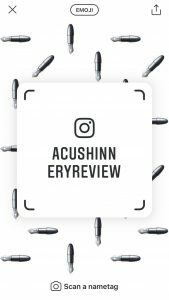 Add The Shinnery on Instagram!